FFA - Equifax is a top advertiser at Huffington Post who fundraises for CAIR, defends Muslim Brotherhood and publishes articles blaming Islamophobia for worldwide conflict with Muslims. Equifax is a top advertiser at Huffington Post who fundraises for CAIR, defends Muslim Brotherhood and publishes articles blaming Islamophobia for worldwide conflict with Muslims. The email for this article was deactivated after Equifax stopped advertising. The Huffington Post continues to publish Islamist propaganda. • The Huffington Post published an article on January 26, 2017 titled “The American Dream Or The American Nightmare?” The article states in part: “This is a call to your conscience. I am writing about the ‘Muslim ban,’ as people are calling it. The ‘Muslim ban’ is not about security. This is about Islamophobia, plain and simple.” Only fake news promoters are calling it a Muslim ban because that is not what President Trump’s executive order states. More Islamist propaganda. • The Huffington Post published an article on January 25, 2017 titled “Don’t Deride Women Marchers — Help Them Become More Radical.” The article headlines a photo of a women’s march protestor with a sign of a women wearing a Hijab that is made from an American flag. This is a tragic display of hypocrisy having the Hijab, a sign of oppression and devalued women’s rights, made out of an American flag, which stands for freedom and liberty for all including women oppressed under Sharia law in America. Huffington Post has published numerous articles that promote Islamist propaganda. Huffington Post articles have defended the Muslim Brotherhood, fundraised for the Council on American Islamic Relations (CAIR), blamed Christian Islamophobia for worldwide conflict with Muslims, promoted an anti-Semitic blog, encouraged Islamist demagoguery, and promoted other Islamist propaganda. Huffington Post propaganda mocks, belittles and blames people who are concerned about radical Islam in a manner that impairs the willingness of some people to speak up for public safety. Eleven examples of Huffington Post’s Islamist propaganda articles are posted at the bottom of this article. • Islamophobia propaganda is the top tool Islamists use to influence Americans to ignore advancement of Sharia doctrine in the United States. Unfortunately, it intimidates people to the point of stifling free speech in a manner that hurts public safety. Labeling people or groups as Islamophobes is intended to influence them to stop criticizing Islam. Fear of being branded an Islamophobe played a role in suppressing communications that may have had different results for the lives of 63 people in San Bernardino and Orlando. • One article wrongfully places the blame on Christians and Jews in a manner that creates contempt for Christianity and Judaism. • The reports published by the news media do influence the political positions of the public. Huffingtonpost.com is one of the largest liberal progressive media outlets in America. • Florida Family Association’s opposition campaign educates hundreds of officials at American companies about the harm caused by erroneous Islamophobia propaganda. The thousands of emails that company officials receive reveal that there are many Americans who find Islamophobia propaganda deceitful, harmful and offensive. Equifax has advertised at Huffingtonpost.com for the several months. Florida Family Association has prepared an email for you to send to encourage Equifax officers and directors to stop supporting the Huffington Post’s biased religious propaganda with their advertising dollars. 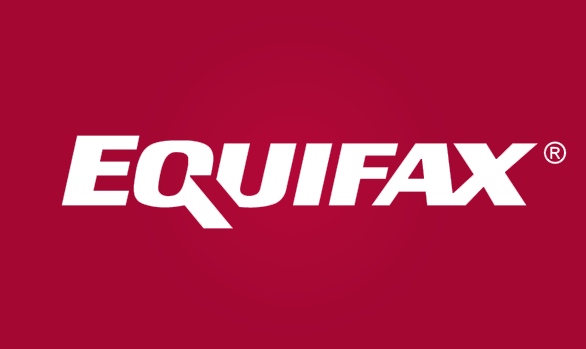 Chairman and CEO, Equifax Inc.
Chairman, Southeast, Goldman, Sachs & Co. RETIRED EXECUTIVE CHAIRMAN, SUNTRUST BANKS, INC.
Former Chairman and CEO, Time Warner Cable Inc.